You have probably searching the internet for various types of vinyl flooring and may be getting close to buying this popular and versatile flooring. You’ve learned that the vinyl flooring of yesterday is long gone and newer, better performing vinyl flooring is available today. 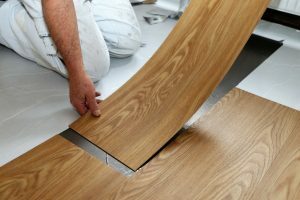 In this article you’ll learn about new product insights, performance considerations, construction points and installation tips about vinyl flooring that you should be aware of before you buy. Most importantly concentrate on the top layer. Understand that the quality of the wear-layer, which is the actual surface layer of the floor, will determine how your floor will stand up to staining, scuffing and scratching. For example, a urethane wear-layer will help with stain resistance. We recommend you consult with us about the wear-layer that’s right for your home and lifestyle. Always review the manufacturer’s warranty and performance characteristics of the products that are available. Sub-floor preparation. Depending on the condition of the subfloor, it may require additional work. Vinyl is one of America’s favorite floors, because it offers many design choices, is durability and has great value.